Ji-Man Choi spent just one day earlier this season with the Milwaukee Brewers, but has received another opportunity to show the coaches and front office what he is capable of doing. On Friday, the Brewers announced that Choi was recalled from Colorado Springs, the team’s Triple-A affiliate. Choi plays first and has power and will replace the injured Ryan Braun, who the team placed on its 10-day disabled list with a bad back. Choi was in the Brewers starting lineup in the first game as he played designated hitter in the first game of Milwaukee’s interleague series versus the Minnesota Twins. Through Daniel Cho his interpreter, Choi said that he was extremely happy to return and that words cannot express the way he feels at this time. He added that since he plays nearly every day at Colorado Springs, he said Friday was a normal day for him and he was glad he was put into the starting lineup. Choi, who last season played with the farm system of the New York Yankees, signed a minor league deal with Milwaukee this past winter and made the team’s roster on opening day after a strong showing in spring training. 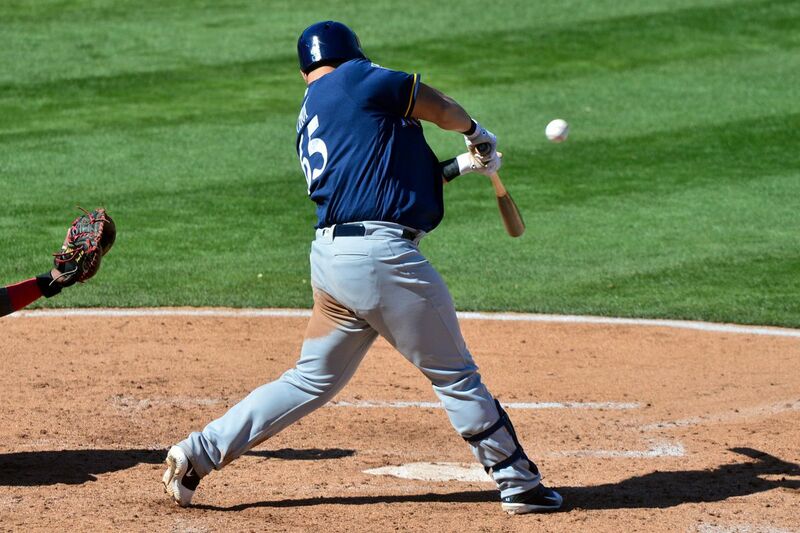 However, after hitting a double that ignited the team’s winning rally during the 12th inning against San Diego in the season opener, the slugger, who bats left-handed, was sent to Triple-A to make room for Dan Jennings a reliever who the team signed after Tampa Bay released him. Choi said he felt like anyone would if they had been demoted so quickly, but now all he wants to think about is being back with the Brewers and overcoming the past. Choi, whose 27th birthday is Saturday, was playing well for the Colorado Springs Sky Sox hitting .307, with four home runs and 22 RBIs across 35 games. He had almost an equal walk to strikeout ratio of 26 base on balls and 27 strikeouts. It is a logical choice for the Brewers to want another power bat on the left side for their series with Minnesota. The Twins are starting three straight right-handers in the series and the DH will be used due to the home team being from the American League. With Braun’s time on the DL retroactive back to May 14, he could be activated on Thursday when the Brewers play at home against the New York Mets.